Provide comfort for the family of Clifton Parlin with a meaningful gesture of sympathy. 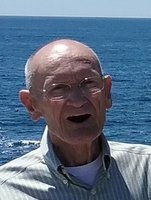 Clifton M. (“Cliff”) Parlin, 80, of Jefferson, passed away on February 13, 2019 at his home in Jefferson. Cliff was born on July 1, 1938 in Jefferson, Maine to Maurice Parlin and Lizzie (Pinkham) Parlin. Cliff attended schools in both Jefferson and Augusta. He was married to Jean (Oliver) Parlin for 51 years. He worked at CentralLine Pipeline, which took him all over the country. After returning home he went to work in the woods until his retirement in the mid 1990’s. Cliff loved going to dances, watching the car races in Wiscasset, and attending car shows. He was an avid Patriots and Red Sox fan. He also enjoyed working in the woods. Cliff had a sharp wit and a way of putting things. Cliff was predeceased by his parents as well as his brother Kenneth Parlin and sister Harriet Cummings. He is survived by his wife of 51 years, Jean Parlin of Jefferson, daughter Hayley Parlin of Whitefield, son Wayne Parlin and wife Crystal of Jefferson, daughter Tammy Sawyer and husband Mark of Whitefield, son Dennis Parlin and wife Jessica of China, grandchildren Cameron Brann, Mackenzie Sawyer, Isabella Parlin, Timber Parlin, Silas Parlin, Shiloh Parlin, and sisters, Kathryn Laselle, Shirley Wright and Cheryl Carter. A funeral service will be held in the spring . Date and Time will be announced. In lieu of flowers, donations may be made in Cliff’s name to the American Legion Post 2, Roof Fund, Commander Fred Umphrey, 7 Legion Drive, Augusta, ME 04330. Provide comfort for the family of Clifton M. Parlin by sending flowers. My deepest sympathies to your family. May the promise found at Revelation 21:3-4 give you some comfort for your great loss. May the family of Clifton M. Parlin please accept my sincere condolences hoping you find comfort in God's words at Acts 24:15 and Psalm 37:29.